Pharma industry is growing swiftly in the recent years. Chennai being the hot spot there are many pharma companies located in various areas in Chennai. They provide lots of carrier opportunities and research facilities that aid in the growth of the industry rapidly. After a big research we have given the details about the best pharma companies in Chennai. Orchid chemical and pharmaceuticals Ltd.
Orchid pharma was established in the year 1992. It was started as an export unit and then in the year 1994 it came into operations. Orchid has faced a consistent growth and has its place in the top best pharma companies in Chennai. They have over 3700 employees and more than 600 scientist and other professionals with them. It was formerly known as Orchid Chemicals & Pharmaceuticals Ltd.
Fourrts was started in the year 1977 as a small research and pharma institute. Now they produce many varities of products and they sell their products over 30 countries across the world. They have employed over 1200 professional and the company has earned its place in the top pharma companies list due to its quantitative and qualitative supplies. Sidhu Pharma is a well - known company found in the year 1999 and has a worldwide market. They are very familiar for producing quality medicines at affordable price. They are the leading company that deals with cell enhancing drug, organic materials and biotechnology meds. It ranks number nine in the world as the best pharma company. Sidhu Pharma Labs Pvt Ltd.
Chennai - 600 097. Tamilnadu, INDIA. Shasun is a world class pharmaceutical company offering services and facilities across the globe. They have over 35 years of experience in the pharma industry and offers formulation and generic manufacturing services in India. They have a team of highly qualified staff whose mission is customer focused. They employ over 1800 people worldwide to enrich the business. Axon drugs was started in the year 1995 and has a huge manufacturing unit spread over 25,000 square feet. It started as suppliers of medicines to the government institutions and gradually grown to a larger scale. They manufacture tablets, capsules and syrups. The principle of the company to be profitable and self - sustaining organization. Medopharm was started in the year 1970. Their aim is to become a global leader in the pharmaceutical industry. It has its presence in over 60 countries worldwide. Their vision is to manufacture quality medicines at an affordable price. They manufacture over 250 products and has over 1000 employees throughout India and other countries. The Surien pharmaceuticals is another prominent company found in the year 2013. The company is well known for its high end technology medicines. Their vision is to become the leader of pharmaceutical industry by producing cost effective and high quality medicine through innovative technology. Bafna Pharmaceuticals was found in the year 1981 and strives to be a notable company in the pharma industry. Bafna acquired Raricap by Johnson and Johnson in the year 2011 which is a dream come true for the company. They have also won many awards for their quality service. Natco Pharma limited was incorporated in the year 1981 with a group of 20 employees. Their goal is to produce medicines that is accessible to all. 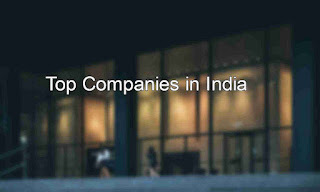 They have over 3200 employees and rated as the fastest growing company in India. Natco products reach over 40 countries across the world. Zota pharmaceuticals, also known as AtoZ pharmaceutical is a leading manufacturer of premium quality products in a cost effective manner. It has WHO-GMP Certified plant and a strong Quality Control laboratory accredited by NABL (National Accreditation Boards for Testing and Calibration Laboratories) India, which is recognized by many countries.we are completely Export oriented unit.